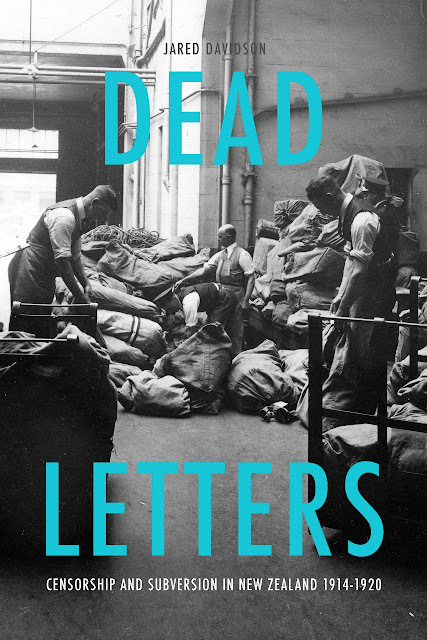 I'm very happy to note that my latest book, Dead Letters: Censorship and Subversion in New Zealand 1914 - 1920, is out now with by Otago University Press. We launched it into the world with great cheer at Unity Books, which you can read about from the Unity Books website. As Dani Henki of Unity Books writes, "laughter and applause rippled through the crowd numerous times while Jared spoke about the journey that led to the creation of Dead Letters, acknowledging the families of letter writers included in the book, descendants of anti-war farmers, socialists, lovers, and people who just happened to be in the wrong place at the wrong time. 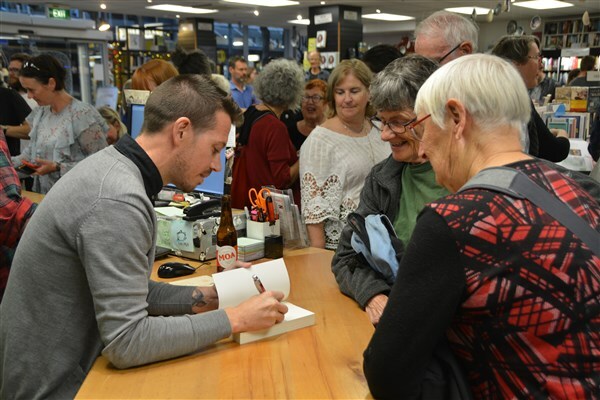 It was an incredible turnout, some folks came from as far north as Auckland and as far south as Christchurch." I want to thank everyone who made it to the launch (including descendants of the letter writers), as well as Rachel Scott and Charlotte Macdonald, who spoke on the night. It was great to be surrounded by so many friends, family, and colleagues. Finally, you can order your copy at Nationwide Books (free shipping within NZ), or get your local library to request a copy. First published in Overland Literary Journal, February 2019. It is these silences – of the historical record and the conscious/subconscious approaches of many historians – that history from below seeks to recover. 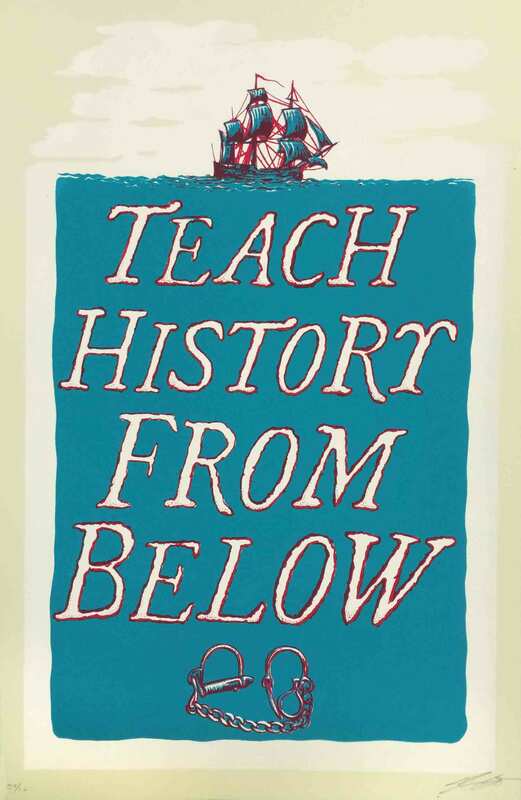 But what exactly is history from below? Who is below? And now that modern historians of any worth must consider the aims and methods of social history, as well as class, gender and race, is there still value in the label history from below? seeks to take as its subjects ordinary people, and concentrates on their experiences and perspectives, contrasting itself with the stereotype of traditional political history and its focus on the actions of ‘great men’. It also differs from traditional labour history in that its exponents are more interested in popular protest and culture than in the organisations of the working class. For David Hitchcock, history from below is history which preserves, and which foregrounds, the marginalised stories and experiences of people who, all else being equal, did not get the chance to author their own story. The recovery of voices missing from the historical narrative is a central purpose of history from below. In doing so, history from below (especially feminist work and studies of slavery and unfree labour) has expanded our understanding of the working class and working-class struggle beyond waged labour. Rediker’s own work on slavery and the revolutionary Atlantic is a case in point, for it includes the waged and the unwaged, men and women, and people of many different ethnicities and cultures. Previously overlooked forms of resistance to capitalism have joined the ranks of more traditional labour actions. If the British Marxist historians, along with the French historians Georges Lefebvre and Albert Soboul, had pioneered ‘history from below,’ which made historical actors of religious radicals, rioters, peasants, and artisans, Lemisch pushed the phrase and the history further and harder with ‘history from the bottom up,’ a more inclusive and comprehensive formulation that brought all subjects, especially slaves and women, more fully into the historian’s field of vision… by insisting that sailors and other workers had ideas of their own, he [also] made a point that many historians have yet to grasp – the history of the working class must be an intellectual as well as a social history. For Rediker, part of that work is teaching. He is currently the visiting professor at the University of Hawaiʻi at Mānoa, where he is running the graduate course, ‘How to Write History from Below.’ The course explores the key theories, methods, and issues in history from below, from its origin in the 1930s, through the New Left of the 1960s and 1970s, to the present. As Marcus prepared for his stint in Hawai’i, he shared online the books that he thought were essential for anyone interested in learning how to write history from below. Thinking they would make a great reading list, I wrote to Marcus and, with his permission, they are reproduced here. They also made me wonder: what books could be considered exemplars of Australian or New Zealand histories from below? C.L.R. James, Black Jacobins: Toussaint L’Ouverture and the San Domingo Revolution, Vintage, 1938. E.P. Thompson, The Making of the English Working Class, Vintage, 1963. Christopher Hill, The World Turned Upside Down: Radical Ideas in the English Revolution, Penguin, 1972. Natalie Zemon Davis, The Return of Martin Guerre, Harvard University Press, 1983. Carlo Ginzburg, The Cheese and the Worms: The Cosmos of a Sixteenth-Century Miller, Johns Hopkins University Press, 1976. Joan Scott, Gender and the Politics of History, Columbia University Press, 1988. Silvia Federici, Caliban and the Witch: Women, the Body and Primitive Accumulation, Autonomedia, 2004. Roxanne Dunbar-Ortiz, An Indigenous Peoples’ History of the United States, Beacon Press, 2015. Peter Linebaugh and Marcus Rediker, The Many-Headed Hydra: Sailors, Slaves, Commoners, and the Hidden History of the Revolutionary Atlantic, Beacon Press, 2004. Marcus Rediker, The Amistad Rebellion: An Atlantic Odyssey of Slavery and Freedom, Penguin, 2012. Julius Scott, The Common Wind: Afro-American Currents in the Age of the Haitian Revolution, Verso, 2018. I'm very happy to say that my latest book, Dead Letters: Censorship and Subversion in New Zealand 1914-1920 published by Otago University Press, will be launched in Wellington on 7 March 2019. In 1918, from deep within the West Coast bush, a miner on the run from the military wrote a letter to his sweetheart. Two months later he was in jail. Like millions of others, his letter had been steamed open by a team of censors shrouded in secrecy. Using their confiscated mail as a starting point, Dead Letters: Censorship and subversion in New Zealand 1914–1920 reveals the remarkable stories of people caught in the web of wartime surveillance. Among them was a feisty German-born socialist, a Norwegian watersider, an affectionate Irish nationalist, a love-struck miner, an aspiring Maxim Gorky, a cross-dressing doctor, a nameless rural labourer, an avid letter writer with a hatred of war, and two mystical dairy farmers with a poetic bent. Military censorship within New Zealand meant that their letters were stopped, confiscated and filed away, sealed and unread for over 100 years. Until now. Intimate and engaging, this dramatic narrative weaves together the personal and political, bringing to light the reality of wartime censorship. In an age of growing state power, new forms of surveillance and control, and fragility of the right to privacy, Dead Letters is a startling reminder that we have been here before. First published in Overland Literary Journal, November 2018. Firstly, thank you to everyone who has helped me throughout my research on this work. I could not have done it without your input, so again, thank you very much. You can find it on their website: https://www.otago.ac.nz/press/books/comingsoon/index.html. In May 1925, Australian seaman and returned serviceman Noel Lyons was deported from New Zealand. His crime: encouraging fellow workers to slow down. The quality of food served to trans-Tasman seamen had always caused discontent, especially when compared to the fine dining lavished upon first-class passengers. The situation came to a head aboard the Manuka when the crew refused to leave New Zealand’s capital of Wellington until their food was improved. The press quickly dubbed the incident the ‘ham and egg revolution’, and mocked the crew for their unreasonable demands. 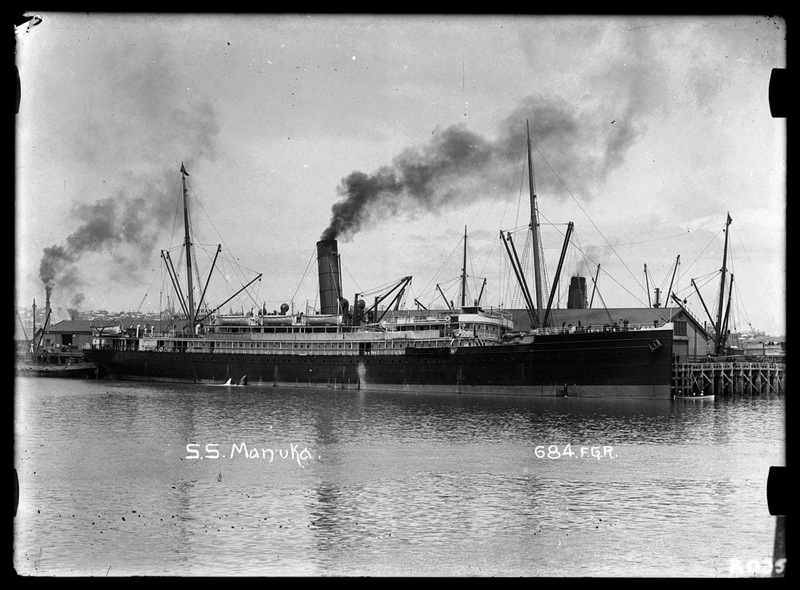 But as the owners of the Manuka, the Union Steamship Company, made clear to reporters, the real issue was ‘the deliberate attempt to institute job control’ via the go-slow. Throughout the voyage Lyons – a coal trimmer – and his comrades had used the go-slow to good effect, hindering the running of the ship. Using the pretext of radical literature found on board, Lyons was read the Undesirable Immigrant Exclusion Act (1919) and given 28 days to leave New Zealand. Instead, Lyons and the crew walked off their Sydney-bound vessel singing ‘Solidarity Forever’ and convened a meeting at the local communist hall. Three-hundred people packed into the hall on Manners Street to hear Lyons speak about the ham and egg strike. ‘I have been described as a paid agitator,’ said Lyons, ‘but it is a well-known fact that all who take an active part in attempting to better the condition of the worker … develop whiskers overnight, and appear as a Bolshevik.’ Despite resolutions of protest from numerous unions, Lyons was imprisoned for two weeks before being shipped to Australia. The idea of employees working as slowly as possible while still earning pay was a step too far for those in power, even within the so-called workers’ paradise that was New Zealand. Not only did it threaten production (and profits), the collective withdrawal of workplace efficiency challenged the social relations central to the wage system itself. Lyons was sent packing, all expenses paid by the state. This example of direct action may be close to a century old, but it is timely. Workers across New Zealand are striking in larger numbers and more frequently than they have for decades. Half-day or full day strikes by nurses, teachers, and public servants have made the headlines and inspired many within and outside the union movement (around 17% of the New Zealand workforce is unionised). That workers are taking strike action – albeit within the limited confines of the law – has seemingly heralded a new period of class struggle. Revisiting other forms of strike action might just widen the horizons of these struggles. When labour laws continue to restrict strikes to a narrow passage of time, making strikes outside of re-negotiating a collective agreement illegal, going slow and the related tactic of working-to-rule are useful means of fighting the boss on the job. The go-slow has a long history. One widely publicised example of a successful go-slow is the 1889 Glasgow dockers’ struggle. After weeks of costly strike action had failed, the workers decided to end the strike. But they went back to work armed with a novel plan. As Geoff Brown notes in Sabotage, the ‘dockers returned to work, and for two or three days went “canny”, and worked as slowly and inefficiently as the blacklegs [scab labour] had worked.’ It was not long before the employers gave in to their demands. 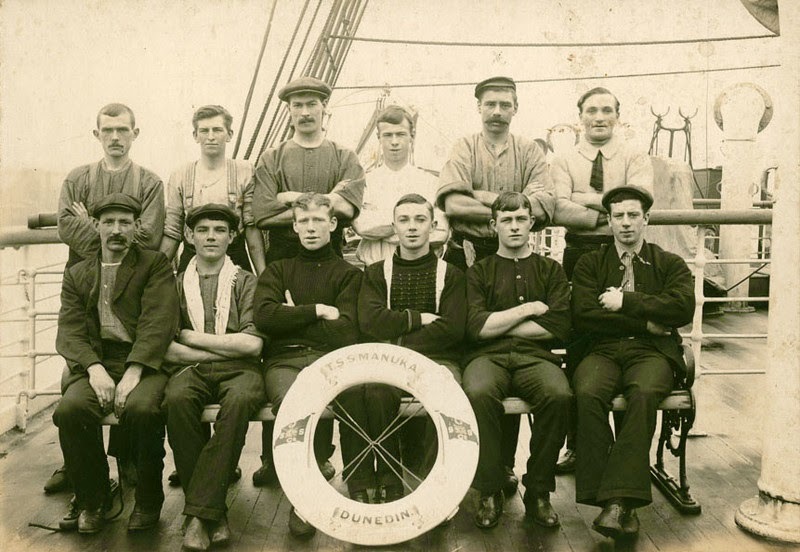 The dockers’ ca’canny or go-slow made a splash in labour circles, and was soon popularised by other workers’ movements such as the Confédération Générale du Travail (CGT) in France, and members of the Industrial Workers of the World (IWW). As a result, the War Regulations of 16 February 1917 included going slow in the category of seditious strikes. 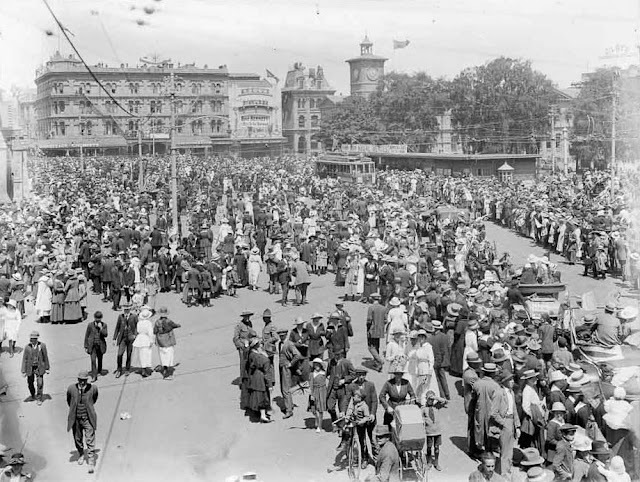 Despite continued legislation against it, examples of going slow remain a constant feature of workers’ struggle in New Zealand during the twentieth century. From sailors in the 1920s to meat workers in the 1970s, it was a much-used tactic to complement or continue more traditional forms of strike activity. Below is my article reproduced from Overland Literary Journal, May 2018. 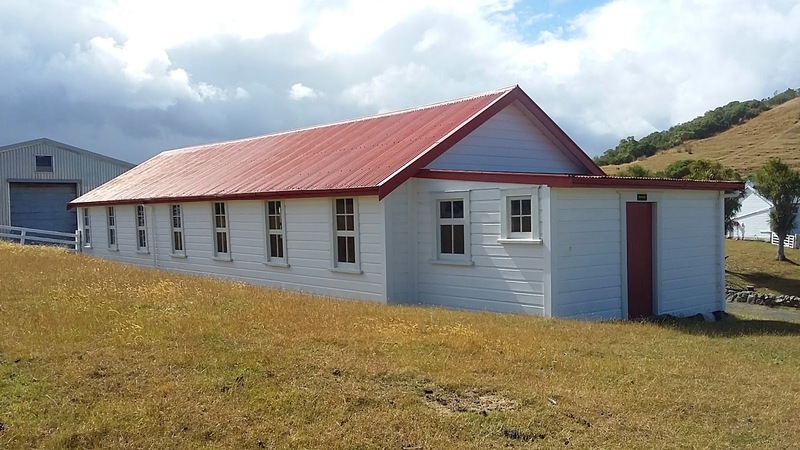 In a first for the inmates of Rimutaka Prison – one of New Zealand’s largest carceral sites located about thirty kilometres north of Wellington – a three-bedroom house constructed with prison labour was recently added to the much-needed stock of Housing New Zealand. The house was lifted over the razor wire and out of the prison compound by crane, and politicians and prison officials were on hand to make the most of the moment. ‘It’s a good example of how we can connect things up to get a really good outcome for New Zealanders’, quipped the Minister of Education. The Minister might not have intended his words to highlight the connections between colonisation and incarceration, enclosure and capitalism, the housing crisis and the state. Nor would he have wanted the house to be viewed as the outcome of unfree labour. Instead, it was an educational outcome and a housing outcome, and one that happily shifted attention away from the earlier news that inmates on similar incentives schemes were being paid as little as twenty cents an hour. Ignoring for a moment that people should not have to be locked up to receive training, a house made with unfree labour and dressed up as self-improvement is not the first of its kind. In fact, if we lift the floorboards and peer a little deeper, the house that John Doe built reveals a long and hidden history of prison labour in New Zealand. Although its use was never Imperial policy, as in Australia, prison labour weaves its way through almost every major urban centre and is entwined with many significant events in New Zealand’s past. Yet it is a history that is relatively unknown. An invisible history hidden in plain sight. In August 1839, when discussing instructions from Lord Normanby on the annexation of New Zealand, Captain William Hobson asked for a supply of convicts from Sydney for use on roads and other public works. The Colonial Office turned down his request. But less than two years after the signing of Te Tiriti o Waitangi in 1840, prisoners were hard at work building the infrastructure of settler capitalism. As Ben Schrader writes in The Big Smoke, the British had a long tradition of founding towns to impose control over new territories and Indigenous peoples. But the labour needed to build such towns was in short supply. Luckily, Hobson and his agents of empire were less interested in the use of hard labour within the confines of gaol than in the fact that they needed workers. 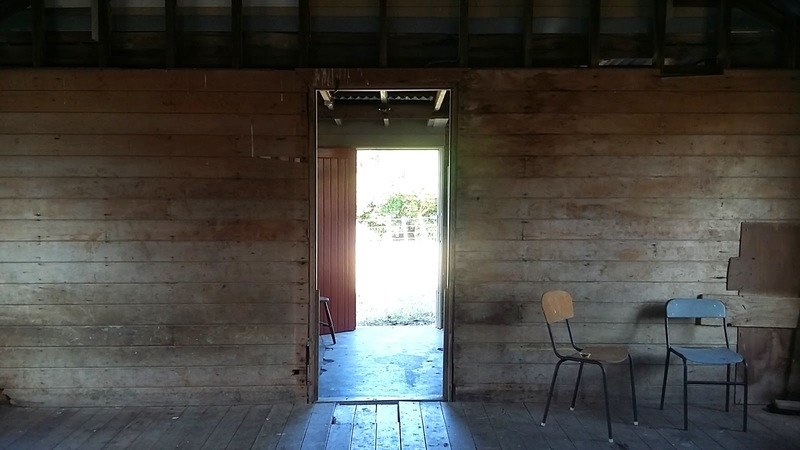 There was far too much to be done on the ‘frontier’ to leave untapped labour within the hastily erected raupo huts that passed for New Zealand’s first prisons. With the formation of the Public Works Department still thirty years away, using forced labour on public works became the norm. In Wellington in 1843, prisoners constructed Hill Street (alongside current-day Parliament Grounds), a waterfront road between the high water mark and neighbouring shops (in the area of Woodward Street). They laid drains in Manners Street and cut a road to Karori. Prison labour levelled the site of Terrace Gaol in 1851, built Cuba Street in 1856, and drained the Basin Reserve in the 1860s. From 1853, prison labour was used continuously on street works and public grounds around the burgeoning city. When they weren’t slogging through a ten-hour shift on roads, the incarcerated cut firewood to heat the buildings of government officials or crushed rock for more roads. Like in Wellington, the spectacle of prison gangs being led daily through the streets of Auckland was a common occurrence in the early 1840s. Prison labour built Queen Street, Fort Street, High Street, Chancery Street and Victoria Street. Prisoners cleared land and built jetties on the shoreline. They were the main source of public works labour in Auckland until 1853, when outdoor work by prisoners was temporarily stopped. Prison labour, including that of Māori prisoners of war, was essential to the development of Dunedin. Prisoners drained swamps, reclaimed harbours, deepened the berth alongside the Rattray Street jetty, built roads such as Cumberland and Castle Streets and roads on both sides of the harbour, and levelled entire hills. Rather than conforming to nature, settlers preferred to stick to the imposed grid of the surveyors. Bell Hill, which formed the Octagon in Dunedin’s city centre, was levelled by prisoners. One of them was the convicted arsonist Cyrus Hayley, who was shot dead while attempting to flee a Bell Hill work gang. In Lyttelton too, prisoners levelled, cleared, dug, stacked, packed, and poured the city’s streets, walls, drains, school sites and harbours. They helped build the iconic Timeball Station. They even constructed their Warder’s gothic-inspired home. All of this forced labour was cheap and convenient. But its use was as much about ideology as it was pragmatic. ‘Habits of industry’, industriousness and the work ethic were (and are) essential to the maintenance of capitalist social relations. Forced labour was a way to instil labour-discipline, just as prison training incentives today try to instil labour-discipline and readiness for the labour market upon release. The idle and disorderly threatened such values, and whether inside a prison or not, had to be contained. Between 1868 and 1878 the number of people imprisoned rose from 3,292 to 4,924. In a time of increased mobility and unemployment, this itinerant prison force was overwhelmingly made up of people charged with vagrancy and other crimes of social control. To make space for the growing prison population, some of the worst offenders were drafted out of jails and into great prison ships – called hulks – so they could be sent wherever work ‘of great public utility’ was needed. The practice of providing casual forced labour from mobile hulks was eventually abolished in 1891 (today, a not-dissimilar practice is known as ‘labour hire’). By the 1880s, when prisons came under centralised administration, the state met the challenge of inadequate space by forcing prisoners to build the very walls around them. 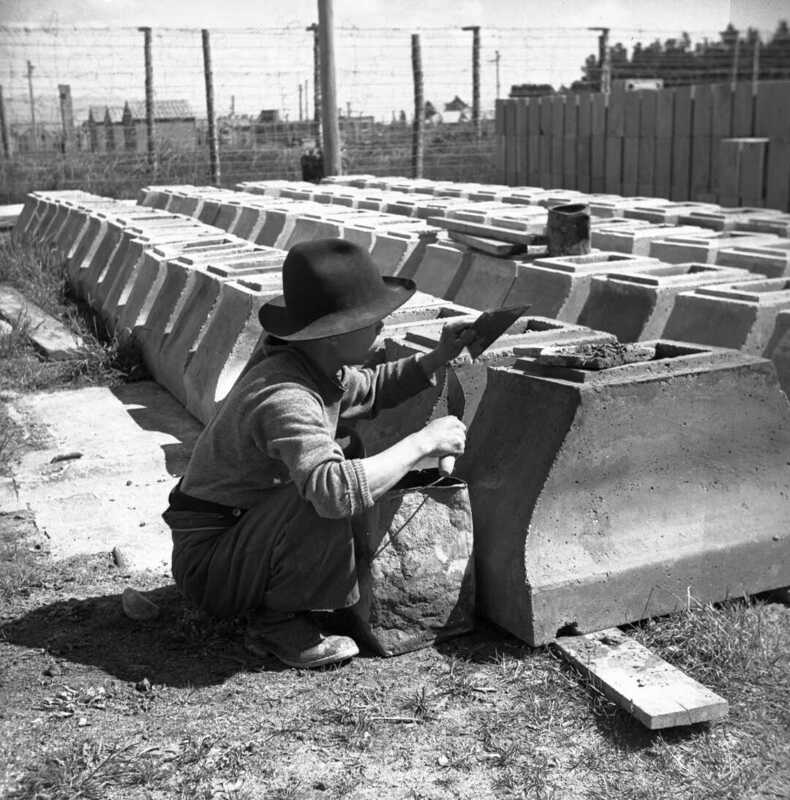 Prison labour was used to construct new prisons in Wellington, Christchurch, New Plymouth, Auckland, Dunedin, Greymouth, Whanganui, Napier, Invercargill, Gisborne, and various places in between. 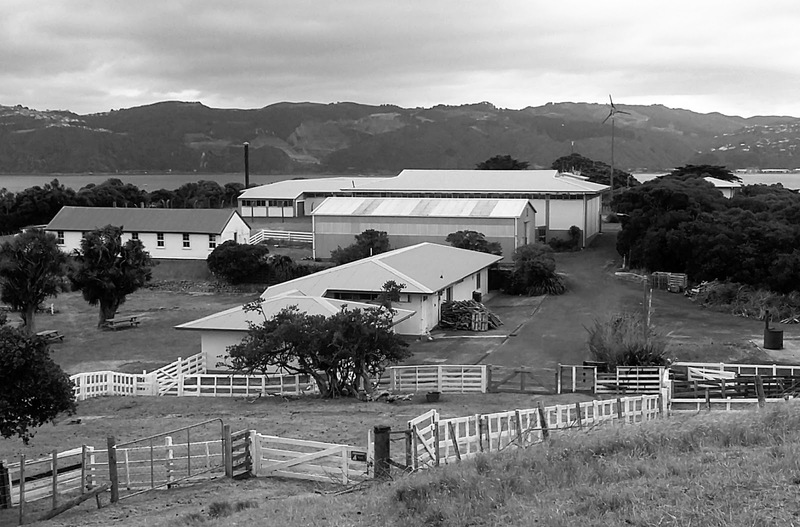 Many of these prisons were situated on land taken or questionably ‘purchased’ from Māori (the connection between public works and Māori dispossession needs no explanation). By the late nineteenth century, the focus of building prisons meant there was often little prison labour to spare for other work. Despite this, working hours of 7.30am to 6pm in summer and 8am to 5pm in winter saw forced labour used on roads in Dunedin, Wellington, Hokitika and Nelson. Prisoners were put to work for local corporations and harbour boards at Invercargill, Timaru and Whanganui. In 1881, unfree labour built the breakwater at Ngamotu – the work gangs of prisoners transferred to New Plymouth for the job were marched to work under armed guard, and waited out the tides and bad weather locked behind bars in a cave at the base of one of the Sugarloaf Islands. In this period, prisoners built the New Plymouth Hospital, the Addington Water Tower, the Hokitika Racecourse, a seawall in Nelson, Marine Parade in Napier, and attempted to forge a road through Milford Sound. Prison labour was also used for militarist and defence purposes, such as Dunedin’s Fort Taiaroa, Kau Point and Point Halswell in Wellington, and Ripapa Island in Lyttelton Harbour. Prison labour and war have always been strongly connected. In 1846, during the military campaign against Hōne Heke, Kawiti, and other Ngāpuhi rangatira, a handful of convicts from New South Wales were shipped across the Tasman and used as bullock drivers, carting weapons and material for the Imperial troops. 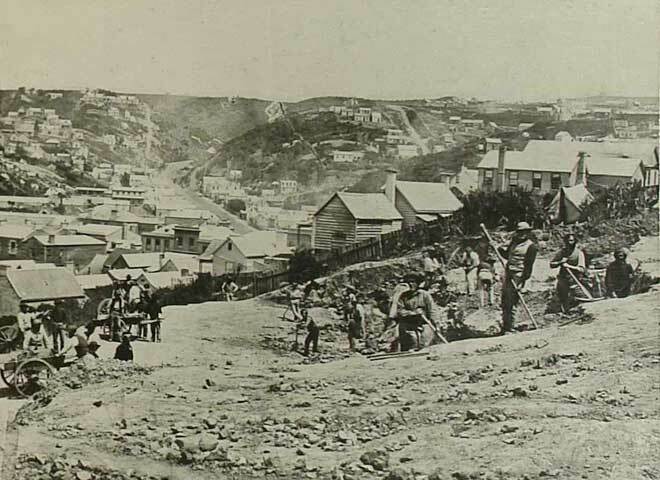 In 1869, seventy-four Māori prisoners of war – known as the Pakakohe group – were sent to Dunedin, where they were put to work on the city’s infrastructure, including the foundations of the University of Otago building, parts of Andersons Bay causeway, city roads, and the Botanic Garden’s stone walls. Locked in cold and filthy conditions, eighteen prisoners died. Ten years later, 137 Māori prisoners from Parihaka were again sent south and put to work. During the First World War, resisters and conscientious objectors were herded into labour camps across the country and forced to build roads and bridges, or confined to state farms such as Weraroa, where generations of farmers before and since were taught the agricultural skills essential to the settler economy. Germans and other enemy aliens interned on Matiu Somes Island were forced to labour, violating the Hague Convention, while in Northland over 600 Dalmatians were forced into swamp drainage, railway construction and road-building, despite their willingness to serve in the New Zealand Expeditionary Force. The Second World War re-established the use of objectors’ labour for the state, while at Featherston military camp, Japanese prisoners were put to work on state house chimneys and other tasks. On 25 February 1943, a group of about 240 staged a sit-down strike and refused to work. In the melee that followed, thirty-one Japanese were killed instantly, seventeen died later, and about seventy-four were wounded. The state house, for which the Japanese prisoners of Featherston paid dearly, is ubiquitous with New Zealand and the welfare state. Less known is that some of the timber they used, felled from the great forests owned by the state, were planted and maintained by prison labour. 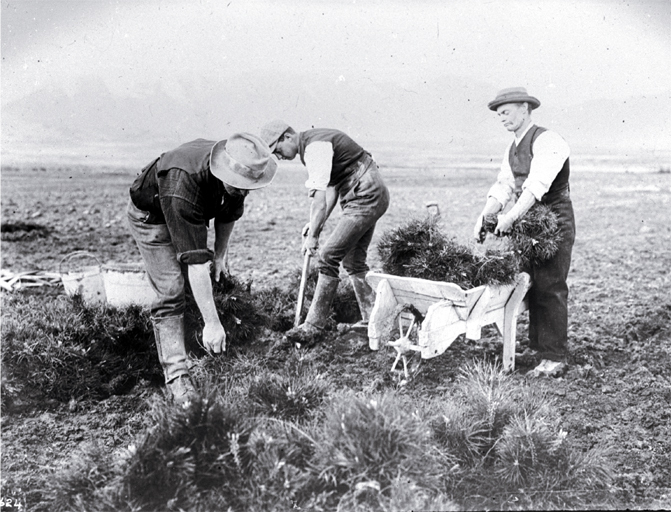 Between 1901 and 1920, close to 16,000 acres or forty million trees were planted by prisoners in Waikato, Rotorua, Taupō, Marlborough, and Canterbury. Unfree labour created valuable state assets. Even the cherished dairy industry was tainted by prison labour. From 1909, prisoners were used to clear, break-in, and cultivate ‘waste’ land before it was subdivided into smaller holdings and sold to dairy farmers. By the 1930s, close to 27,000 acres of land had been cleared in the central North Island alone. Underpinning it all was a gendered division of labour. It was women who did the invisible work that made the public work possible. Women made and mended clothes, washed laundry, sewed mattresses, repaired boots, scrubbed floors, baked bread, and completed a vast array of domestic duties. When they weren’t reproducing the labour power needed for public works, they picked oakum – the unravelling of old rope – for no other reason than to keep them working. Such widespread use of prison labour disrupts the narrative of New Zealand exceptionalism, of the classless, hard-working settler escaping the drudgery of industrialism. Disruptive, too, were some of the incarcerated workers forced to labour for the state. Officials in the 1840s and 1850s were dismayed by the number of prisoners in irons or solitary confinement for refusing to work. Seafarers and soldiers were especially unruly. Lieutenant Colonel C.E. Gold, commander of the 65th Regiment, complained in 1848 that many of his men preferred to be in gaol, where their subversion of discipline was more appealing than having to serve in the military. In 1865, one woman inmate refused to work and threw her oakum ‘down the privy.’ After being punished for her ‘violent and insolent language,’ she was forced to retrieve the filth-covered rope and continue with her day’s quota. In Kaingaroa, Paparua and Waikeria, First World War inmates went on hunger strike, refused to work or initiated go-slows to improve their plight. 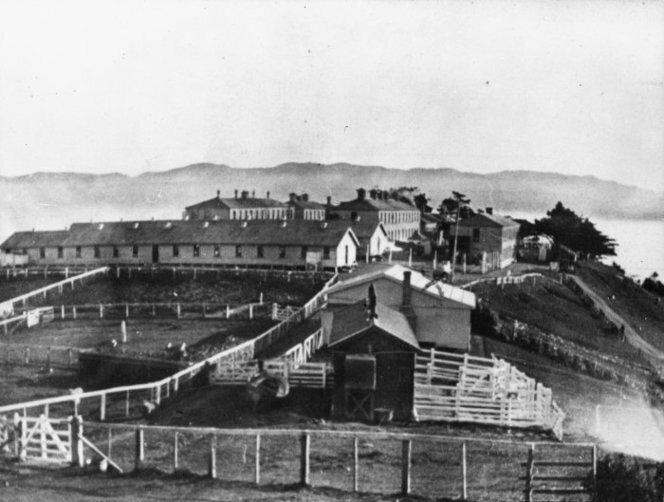 (At the time of writing, Waikeria was again in the spotlight for its disturbing conditions and confinement of inmates to their cells for up to twenty-two hours a day). 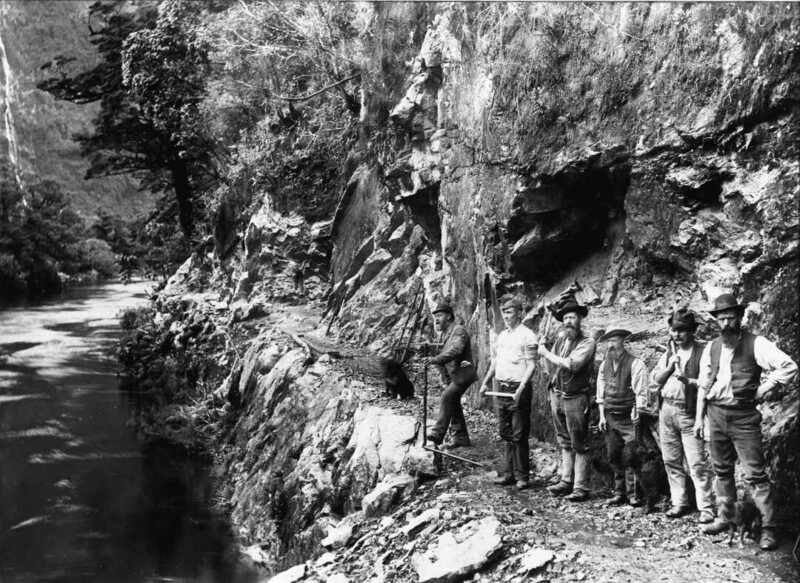 Dalmatians downed tools at the Waihou River works, launched strikes on the Okahukura railway works, and refused to work the swamps near Kaitāia-Awanui. The man charged with their ‘care’, former Police Commissioner John Cullen, was upset at this work-refusal. Because Dalmatians had worked in wet and difficult conditions as gumdiggers, Cullen believed they would be happy to do forced labour on behalf of the state. He was wrong. It has been said that the essence of imprisonment is organised compulsory work. It has also been said that capitalism is the subordination of all aspects of life to waged work. The connection between these two sides of the same coin – unfree and ‘free’ labour – is enclosure. Enclosure is the ongoing process of divorcing people from their relationship with the land, from the commons, and from independent means of sustaining life. Enclosing bodies between prison walls is the ultimate expression of that process. Even the rhetoric of prison rehabilitation cannot escape the connection, for the word ‘improve’, in its original sense, not only meant to make better but to do something for monetary profit. In particular, it meant to make land productive and profitable by enclosing it. Enclosure and the violence of forced labour permeates the streets we walk every day and the public spaces we take for granted. It is a violence inseparable from colonisation and the dispossession that makes prisons and prison labour in New Zealand possible. For prisons were a Pākehā institution brought to these shores from without. And the use of unfree prison labour was there from the beginning. First published by Overland Literary Journal, May 2018. Excerpt from 'Historicizing the Global, Politicizing Capital: Giving the Present a Name' by Geoff Eley, History Workshop Journal, Volume 63, Issue 1, 1 March 2007, Pages 154–188. ...if we take seriously on board this centrality of non-industrial work and the fundamental importance of service, domestic labour, and everything that's accomplished in households, while adding it to the driving importance of enslaved mass production, then our conventional understanding of the histories of political economy and working-class formation will surely have to change. A further implication arises once we shoot our vision forward over the longest term of capitalism's history since the eighteenth century to return to our question about the distinctiveness of its forms in the present. Once we revise our understanding of the early histories of capital accumulation by acknowledging the generative contributions of slavery and servitude, in fact, we have already begun questioning the presumed centrality of waged work in manufacturing, extractive and other forms of modern industry for the overall narrative of the rise of capitalism. 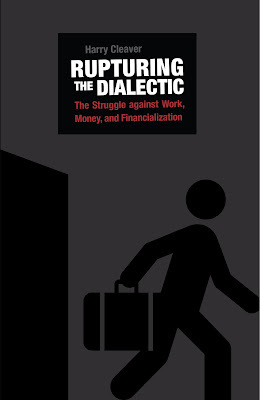 By shifting the perspective in that way, we effectively relativize wage labour's place in the social histories of working-class formation and open our accounts of the latter to other regimes of labour. By that logic, the claim of waged work to analytical precedence in the developmental histories of capitalism no longer seems secure. As it happens, in fact, the de-skilling, de-unionizing, de-benefiting, and de-nationalizing of labour via the processes of metropolitan deindustrialization and transnationalized capitalist restructuring in our own time have also been undermining that claim from the opposite end of the chronology, namely from a vantage-point in the present. Today the social relations of work are being drastically transformed in the direction of the new low-wage, semi-legal, and deregulated labour markets of a mainly service-based economy increasingly organized in complex transnational ways. In light of that radical reproletarianizing of labour under today's advanced capitalism, I want to argue, the preceding prevalence of socially valued forms of organized labour established after 1945, which postwar social democrats hoped so confidently could become normative, re-emerges as an extremely transitory phenomenon. 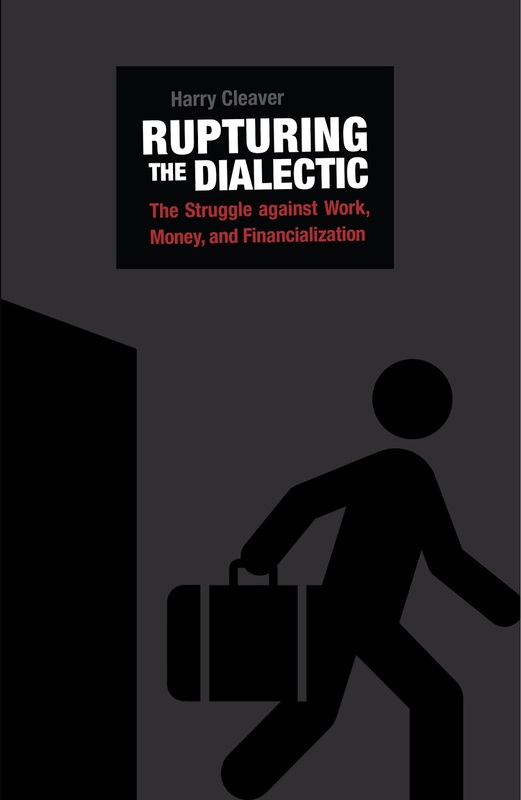 The life of that recently defeated redistributive social-democratic vision of the humanizing of capitalism becomes revealed as an extremely finite and exceptional project, indeed as one that was mainly confined to the period between the postwar settlement after 1945 and its long and painful dismantling after the mid 1970s. In light of that contemporary reproletarianizing of labour, perhaps we should even see the period in which labour became both collectively organized and socially valued via trade unions, public policy, wider common sense, and the acceptable ethics of a society's shared collective life as merely a brief blip in the history of capitalist social formations whose ordering principles have otherwise been quite differently institutionalized and understood, whether at the beginning (in the eighteenth century) or at the end (now). As I’ve just suggested, the blip in question may be located historically inside Eric Hobsbawm's ‘golden age’ of the unprecedented post-1945 capitalist boom whose forms of socio-political democratization (through planning, full employment, social services, redistributive taxation, recognition for trade unions, public schooling, collectivist ideals of social improvement, a general ethic of public goods) were brought steadily under brutally effective political attack after the mid 1970s.41 At most, one might argue, the labour movement's rise and political validation may be dated to the first three quarters of the twentieth century, varying markedly from country to country. There are two features of this argument that deserve extra clarification. First, the suggestion that both slaves and servants be considered categories of workers may seem to depart so radically from the normal practice of defining the ‘working class’ by the wage relationship as to be needlessly confusing. Yet, as I’ve tried to argue, once related to the history of capitalism overall, the classic wage-earning proletariat actually re-emerges as a relatively transitory and sectorally specific formation produced in quite delimited historical periods and circumstances. Moreover, under any particular capitalism wage labour has in any case always continued to coexist with various types of unfree and coercive labour. The salience of such simultaneities – of the temporal coexistence inside a particular capitalist social formation of forced, indentured, enslaved, and unfree forms of work with the free wage relationship strictly understood – needs to be carefully acknowledged. Such simultaneities become all the more salient once we begin conceptualizing capital accumulation on a properly global scale by integrating the forms of surplus extraction occurring in the colonial, neocolonial, or underdeveloped worlds. The West's privileged prosperity, including precisely the possibility of the social-democratic improvements associated with the three decades after 1945, has been founded, constitutively, on horrendous repertoires of extraction and exploitation on such a world scale. Other forms of labour coercion have likewise been characteristic of even the most advanced capitalist economies in their time, as for instance during the two World Wars, or under the racialized New Order of the Third Reich. In these terms, I’d argue, the search for a ‘pure’ working-class formation, from which forms of enslavement, servitude, indenturing, impressment, conscription, imprisonment, and coercion have been purged, remains a chimera. Once we define working-class formation not by the creation of the wage relationship in the strict sense alone, therefore, but by labour's contributions to the wider variety of accumulation regimes we can encounter in the histories of capitalism between the eighteenth century and now, we can see the multiplicity of possible labour regimes more easily too. To summarize what I’ve just been saying: on the one hand, there are strong grounds for seeing servitude and slavery as the social forms of labour that were foundational to the capitalist modernity forged during the eighteenth century; and on the other hand, there is equally compelling evidence since the late twentieth century of the shaping of a new and radically stripped-down version of the labour contract. These new forms of the exploitation of labour have been accumulating around the growing prevalence of minimum-wage, dequalified and deskilled, disorganized and deregulated, semi-legal and migrant labour markets, in which workers are systemically stripped of most forms of security and organized protections. This is what is characteristic for the circulation of labour power in the globalized and post-Fordist economies of the late capitalist world, and this is where we should begin the task of specifying the distinctiveness of the present. Whether from the standpoint of the ‘future’ of capitalism or from the standpoint of its ‘origins’, the more classical understanding of capitalism and its social formations as being centred around industrial production in manufacturing begins to seem like an incredibly partial and potentially distortive one, a phase to be found overwhelmingly in the West, in ways that presupposed precisely its absence from the rest of the world and lasted for a remarkably brief slice of historical time. Matiu Somes Island, First World War Barracks. David McGill's aptly-named book is the title of this post, which I write after finally visiting Matiu Somes Island. Our family was fortunate enough to spend Christmas there—three nights in the middle of Te Whanganui-a-Tara with friends and whānau, the weather, and layers of history. I've written about a number of First World War internees on Matiu Somes; from the German-born anarchist Carl Mumme to Hjelmar Dannevill. A number of war resisters who feature in my latest work also ended up on Matiu Somes. So exploring the island had a particular resonance for me. We were shown around the barracks by our friend and island ranger Jeff Hall. There used to be more, and the one that remains had been cut in half to make room for newer buildings, but I could still get a sense of what confinement might have been like. Did Carl sleep here? Or maybe Arthur Muravleff, an aspiring Maxim Gorky suspected of being a spy? 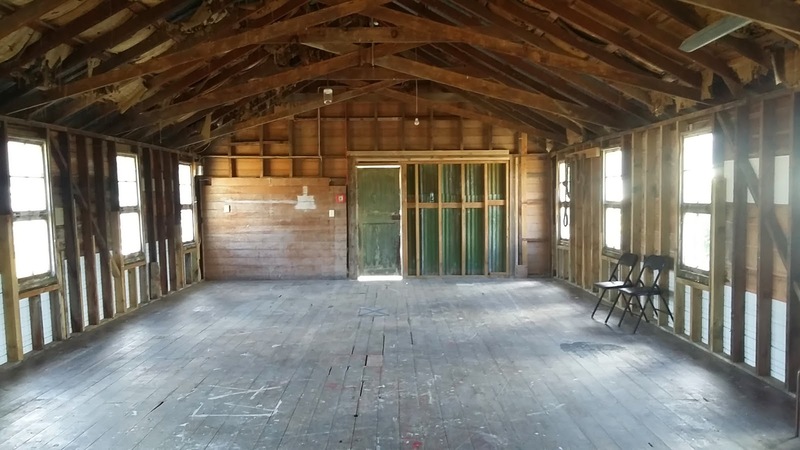 The weatherboards and decaying roof couldn't tell us. I wanted to place the barracks in context, so I trooped up the hill and attempted to replicate a photograph of the camp as it was during the First World War (thank you Alexander Turnbull Library). Close enough. There are too many secrets to share in one post, including its pre-European history or its history after 1918. I look forward to learning more of them, but for now, I'm thankful to have spent three nights on Matiu Somes by choice, rather than by coercion. This article was first published in the November 2017 edition of the LHP Bulletin, which had precarious work as its theme. Other articles from that Bulletin will be available on the LHP website in 2018. The return (or discovery) of precarious labour has mostly been viewed by traditional unions as a threat, not only to working conditions but to the continuing existence of unions themselves. As mediators of exploitation rather than advocates for its abolition, the answer to precarious labour for such unions is often government-regulated work, the promotion of ‘decent work’, and job creation—in a nutshell, more work—none of which address the root causes of precarity. Before arriving in Waitara in 1914, Joseph had laboured on the wharves in both Wellington and Whanganui. To earn a day’s shift Joseph had to stand on the dock to be selected like cattle at auction, only to work physically exhausting, dangerous jobs. Joseph had hoped to fare better in a smaller port like Waitara, but he was mistaken. Joseph was a prolific letter writer, and the struggle for and against work is a recurring theme in his letters. Joseph wrote that since leaving Whanganui there had been no work for him “or any man of his type and principles”, and figured that for over four years he had not averaged more than 10/1 shillings per week. In 1918, that could buy around twenty-five loaves of bread or two large bags of flour. It was only “thanks to our frugal mode of living, coupled with simple wants, we have been able to carry on.”9 The reproduction—the survival—of Joseph and his wife Mary, relied as much on Mary’s unwaged work as the meager wages Joseph could earn. Henry was hauled before the court for failing to register as a reservist under the Military Service Act and was sentenced to fourteen days hard labour. On his release he was due to be deported, but agreed to leave New Zealand ‘voluntarily’ and returned to Australia. Joseph fared slightly better. His age saved him from prosecution, but his precarious existence continued. In 1919, Joseph had moved inland to find more work, and by 1923 he eked out a living as a gardener in Napier. It was here that Joseph Goss died on 26 March 1934. He was 76 years old. These letters suggest that Joseph and Henry viewed waged work as dead time rather than a source of dignity or the pillar of social value. Their precarious working experience also shows that for many in their position (like most precarious workers today), unions and their membership fees were mostly out of reach. Traditional unions were (and are) based on the world of paid work, something Joseph and Henry either struggled to find or ultimately abhorred. They were not alone. Stevan Eldred-Grigg found that many workers “saw their work as something actually distasteful, boring, depressing and tedious. The dislike they felt for their work was one of the most fundamental limitations of the union movement.”15 The mystical cult of work pushed by employers, teachers, the clergy, middle-class socialists and most union leaders was far from accepted. Some amongst New Zealand’s working-class were more likely to sympathise with Paul Lafargue’s The Right to Be Lazy, with its defence of idleness, than the proud workers portrayed in Edward Bellamy’s Looking Backwards. This is hardly surprising. The French word travail, to toil, comes from the Latin tripalium or ‘instrument of torture’, and as the case of Henry Murphy suggests, there is a rich vein of working-class struggle against toil—those who believed in liberation from work rather than liberation through work. Yet resistance to work during the twentieth century has often been underestimated by labour historians. More often than not work has been viewed as creation rather than coercion, and workers as producers rather than resisters who must be constantly disciplined or seduced to accept work.16 Traditional yardsticks of working class militancy are therefore measured in organisational or ideological terms. This call to refuse work is not a utopian denial of the terrible, anxiety-ridden experience of precarious labour and the constant struggle to make ends meet. Precarious workers have difficulty refusing work because they have only ever had a discontinuous, uncertain, and temporary relationship with it.24 Demands for better working conditions can and must be made. But as Weeks notes, it is the demand itself that can broaden the struggle, and with it, people’s horizons. Demands that go beyond those offered by traditional unions and the majority of the left—alternatives that seem to end at fair and equitable work—can win material improvements while pointing to postwork futures. They can be a means to a different end—a world where work does not dominate life—rather than an end in themselves. Circulation struggles that bring together those beyond the formal wage is just one example from the past with relevance for today. There are countless others—although we should be wary of grafting the past onto the present. Yet as I hope this paper shows, there are lessons from the past that a long view can uncover, just as historical narratives can shed light on examples of antiwork politics. 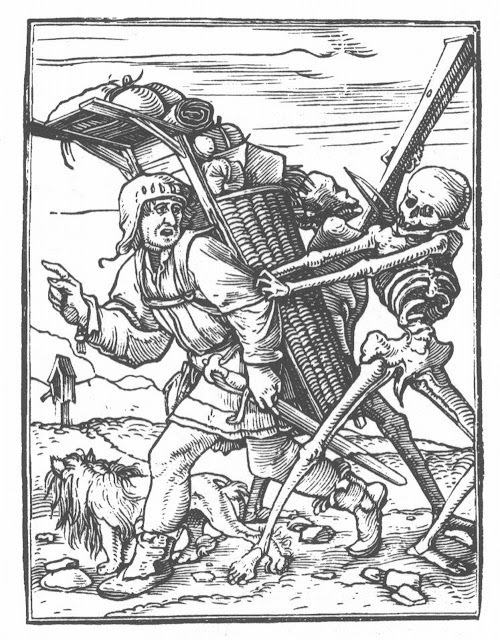 The role of labour historians in the struggle against precarity is to make such examples visible; to provide alternatives that expand the horizon of such struggles; and to question the relationship between precarious and unwaged labour, labour history, and the affirmation of labour rather than its abolition. 1. Sarah Mosoetsa, Joel Stillerman, Chris Tilly, ‘Precarious Labor, South and North: An Introduction’, International Labor and Working-Class History 89 (2016). 5. Kathi Weeks, ‘Imagining non-work’, accessed 11 September 2017 http://libcom.org/library/imagining-non-work-kathi-weeks. For Weeks, the refusal of work is directed against the system of (re)production organized around, but not limited to, the wage system. 8. Steven Eldred-Grigg, New Zealand Working People (Dunmore: Palmerston North, 1990), 69. 9. Joseph Goss, 8 June 1918, AD10 Box 10/ 19/10, Archives New Zealand (ANZ). 10. Goss, 8 June 1918, AD10 Box 10/ 19/10, ANZ. 11. Goss, 8 June 1918, AD10 Box 10/ 19/10, ANZ. 12. Goss, 8 June 1918, AD10 Box 10/ 19/10, ANZ. 13. Henry Murphy, 2 May 1919, AD10 Box 19/ 23, ANZ. 14. David Bright, ‘Loafers are not going to subsist upon public credulence: Vagrancy and the Law in Calgary, 1900-1914’, Labour/Le Travail 36 (1995), 43. 15. Eldred-Grigg, New Zealand Working People, 130. 17. Richard Price, as cited by Anna Green, ‘Spelling, Go-Slows, Gliding Away and Theft: Informal Control Over Work on the New Zealand Waterfront 1915-1951’, Labour History 63 (1992), 101. 18. Seidman, Workers Against Work. 19. Seidman, Workers Against Work. 23. Kathi Weeks, The Problem With Work: Feminism, Marxism, Antiwork Politics & Postwork Imaginaries (Duke University Press: Durham, 2011), 17-18. 25. However, if the demand for universal basic income is for a mere supplement to wages, it will entrench the wage relation and precarious labour rather than open up postwork horizons. See Weeks, The Problem With Work, 137-150.